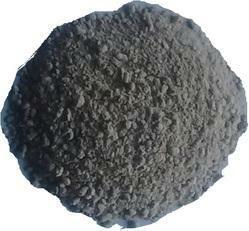 we manufacture back filling mass for Ladle, AOD, LRF. For use in steel ladle as a back up material. We offers optimised grain size of the EBT material on customes requirement used in Electric Arc Furnaces. 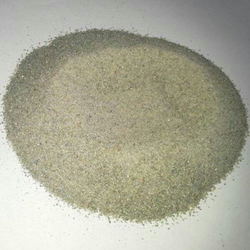 Standard production of EBT filler sand is 1-6mm, 2-6mm and 3-8mm. We are providing to our client Metafill Sp-I (EBT Filling Compound). These are offering on market leading prices.Also offering this product as per client specification. EBT Filling Mass Compound is high refractory granular material, which is used in electric arc furnace with eccentric bottom tapping for free and easier opening of tap hole. EBT Filling Mass is used in Electric Arc Furnace ( EAF ) for smooth and easy operation. We are engaged in offering EBT Filling Mass for our valuable clients. It does not sinter under steel making temperatures and hence remains highly flow able at high temperatures, thus gets out freely ensuring uniform stream of hot liquid. It also minimizes the impact of lancing or poking on tap hole refractory and hence increases tap hole refractory lining life.